3.7 out of 5 based on 17 bloggers and 2 commenters. 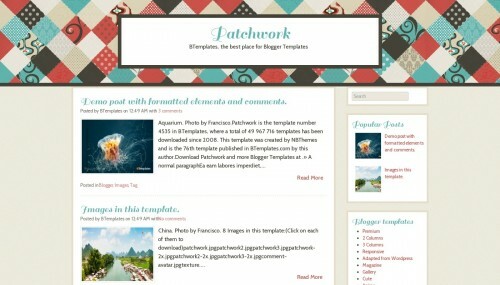 Patchwork is a free blogger template adapted from WordPress with 2 columns, responsive design, right sidebar, posts thumbnails, a background pattern and vintage style. Excellent template for blogs about art, crafts, fashion or home and decoration. Can’t bring pictures to the left or right of the text, but I like this template. Thank you. Loved this template! Thank you so much!